ONE of the last men to play on the all-conquering Ahane GAA teams has passed away. Thomas O'Brien, of Knockbrack, Lisnagry died in Rosary Hill Nursing Home, Castleconnell, on Tuesday. He was aged in his nineties. 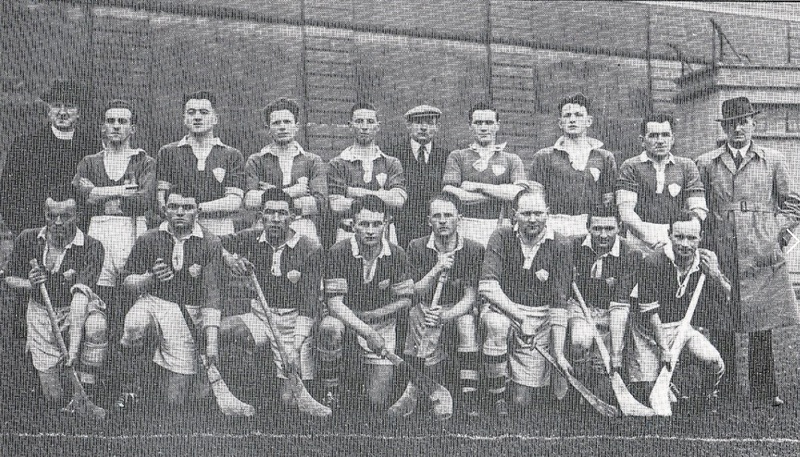 Mr O’Brien played with the likes of Mick and John Mackey, Mick Herbert and Jackie Power during Ahane’s seven-in-a-row from 1942 to 1948. Prior to that he won a county minor title in 1940. In total, he played senior with Ahane for 12 years, winning six county championship medals. Mr O’Brien captained Ahane in 1953 when they were beaten in a county final by Treaty Sarsfields. The wing back also hurled with Limerick and won a National League medal in 1947. He played in two losing Munster finals in 1945 and 1949. Louis Quirke, of Ahane GAA Club, expressed his sympathies on behalf of the club to Mr O’Brien’s family. “It is a loss of an Ahane GAA great - he is one of the last of that era. There isn’t too many in their nineties now,” said Mr Quirke. Mr O’Brien was a very polite man and Mr Quirke recalls dropping in an invitation to the unveiling of a statue of Mick Mackey. “I was barely back home and he rang to thank me,” said Mr Quirke. Deeply regretted by his wife Pauline, daughter Caroline, son Thomas, grandchildren Lisa, Joseph, Rachel and Evan, brother Ken, sister Lil, daughter-in-law Danielle, son-in-law Jim, sister-in-law Breda, nieces, nephews and many friends. Mr O’Brien is an uncle of former Limerick hurlers - Declan and Mike Nash - and a granduncle to current senior player, Barry Nash. Reposing at Meehan's Funeral Home, Castleconnell this Thursday, June 28, from 6.30pm with removal at 8pm to St Patrick's Church, Ahane. Requiem Mass on Friday, June 29, at 11.30am, burial afterwards in Kilmurry Cemetery, Castletroy.